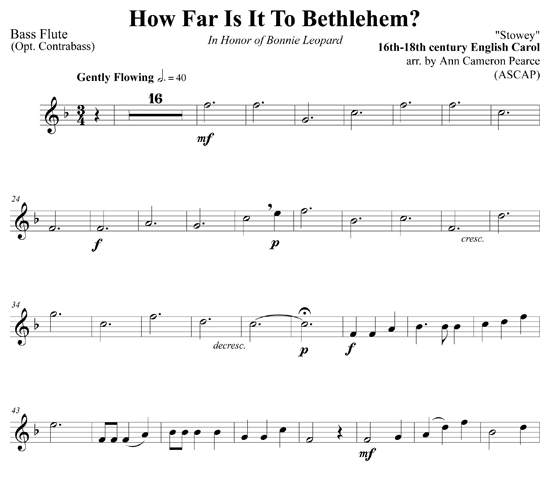 This gentle melody that suggests a lullaby makes a very pleasing addition to either a program or a worship service. 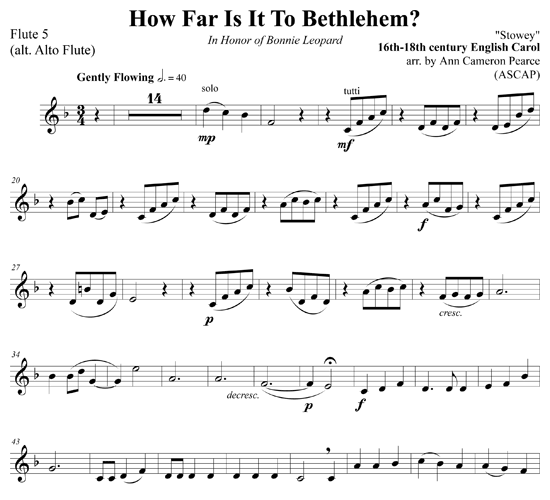 The simple melody is introduced by soloists in the first 3 parts that include the piccolo; it is passed over to the lower flutes later in the piece. 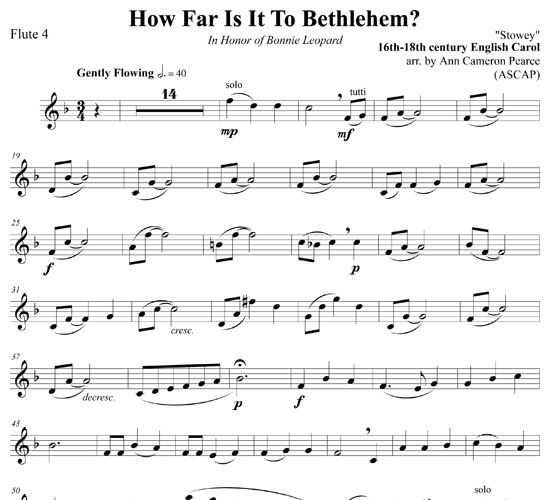 Creative staging (perhaps placing the first soloist at the back of the hall) would creative a very effective echo. 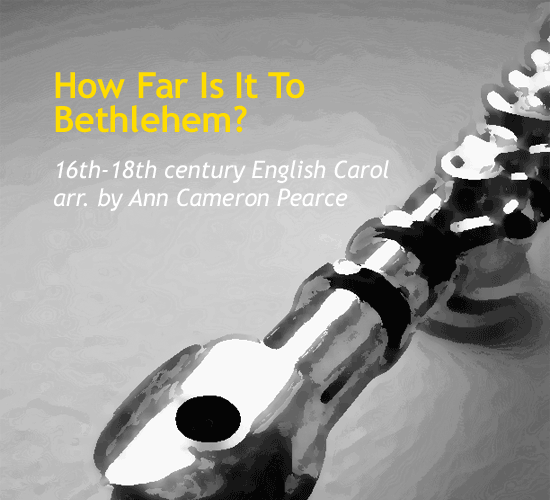 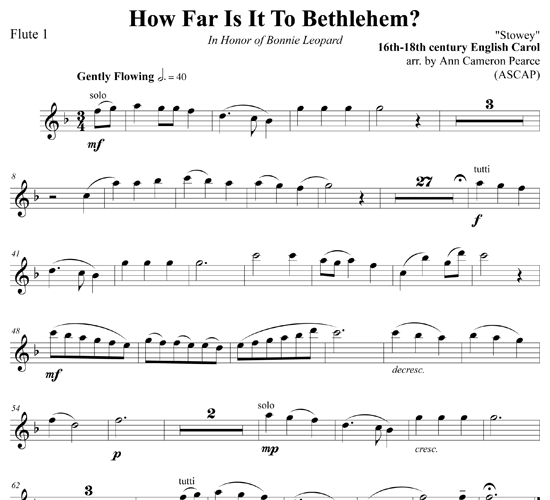 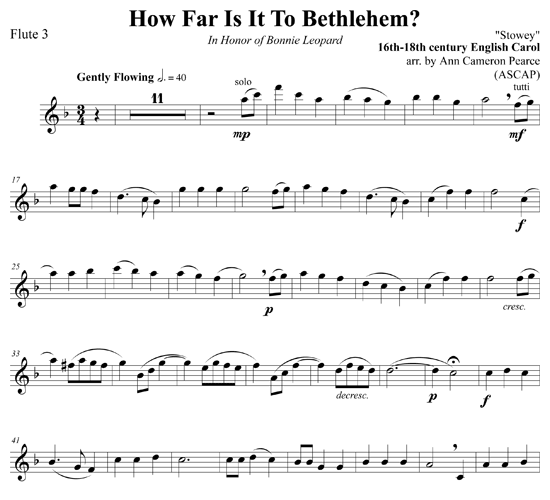 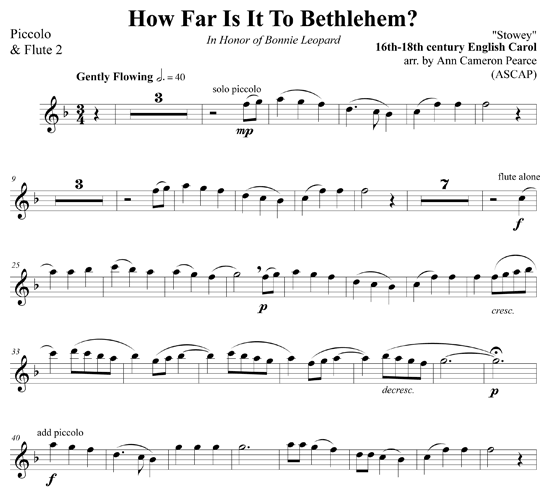 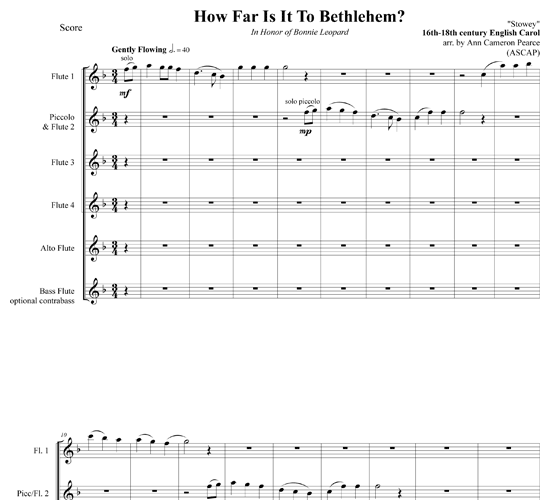 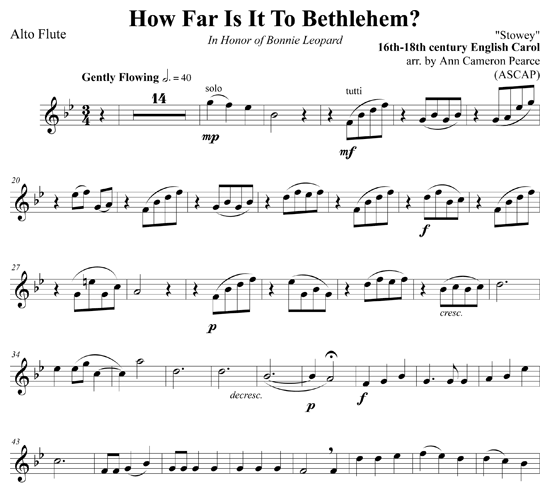 /wp-content/uploads/2011/08/mp3-how-far-is-it-to-bethlehem.mp3Performed by the Raleigh Flute Choir.